May 16, 2018 — Comments are off for this post. 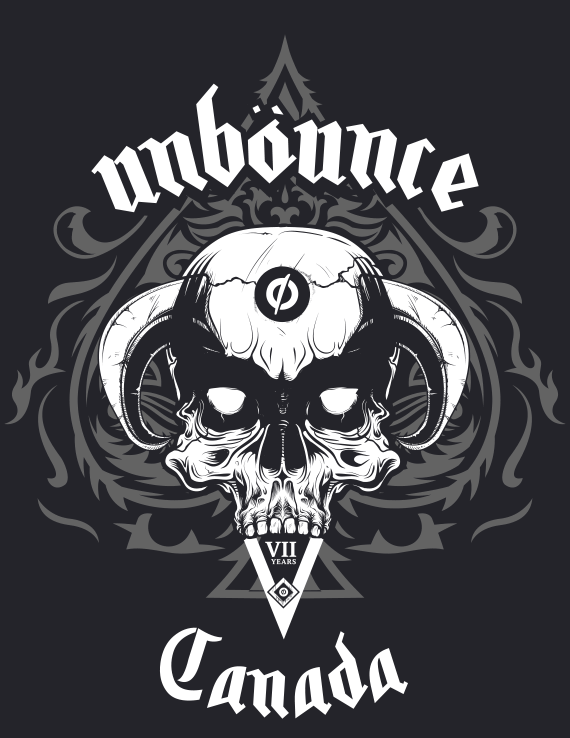 A limited shirt run for the Unbounce 7 year anniversary, inspired by the heavy metal culture of the 80's. 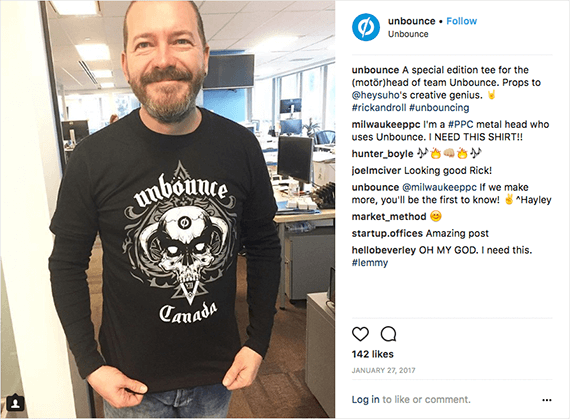 A couple of years ago, I transitioned from managing the creative team at Unbounce by joining the UX team in a leadership role. Growing, mentoring and managing the creative team meant that I spent less time on craft. At some point I realized that I needed a 50/50 balance. I needed to create and mentor others around me and that made me happy. I finally got a chance to go back to the craft and user-centered design approach that was always very much part of my DNA. 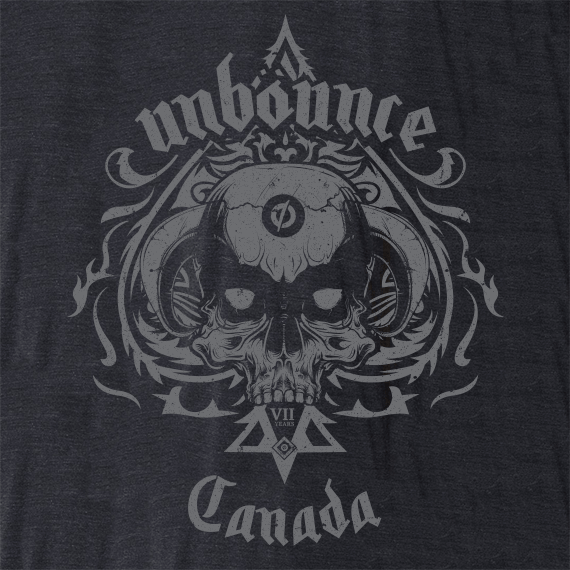 However, before I returned to my roots of product design... Rick, Oli, Carter [3 of the unbounce founders] and I discussed creating a heavy metal inspired Unbounce t-shirt. "Something wicked this way comes. Double up or quit, double stake or split." 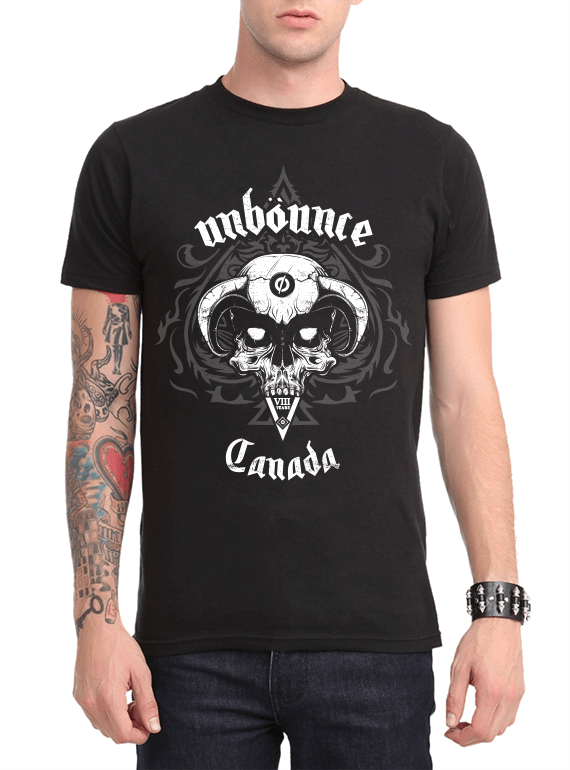 There were a few elements that required to be present, otherwise the shirt would not accurately reflect the heavy metal culture of the 80's. 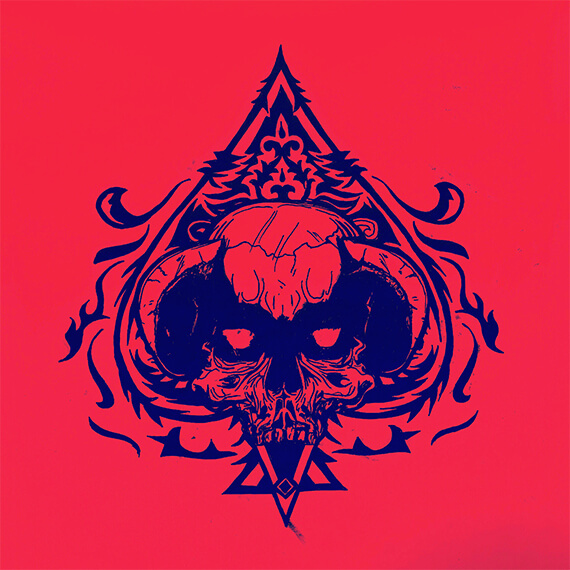 The typography treatment had to be familiar, coupled with ace of spades and skull elements. The sketch became my template in Illustrator. 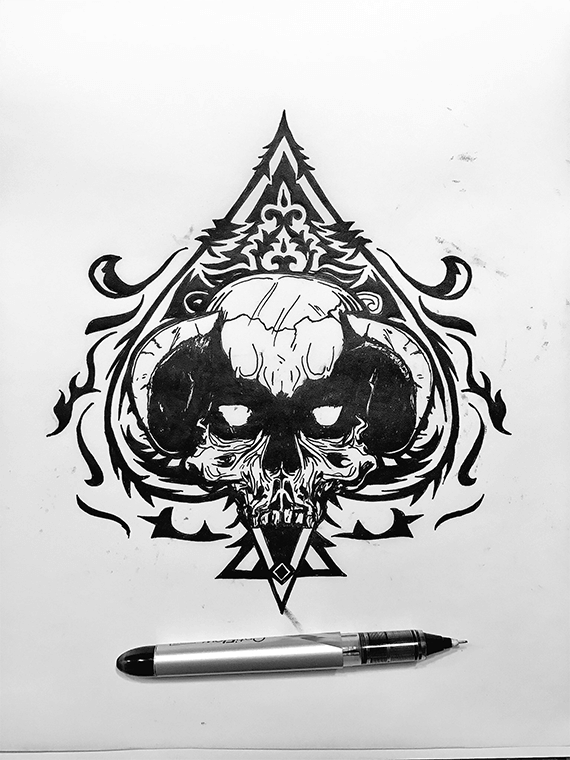 I could vectorize the artwork, fine tune and evolve the piece. This was before I switched over to drawing exclusively in digital form, but the sketch on good old paper and a scanner would suffice as a starting point. Typically I enjoy doing some colour exploration up front and posting rough versions of my work in progress on instagram. I would like to adapt this piece into a poster format at some point in the near future. I vectorized all the elements pieces based on the layers. The skull was done first along with its fractures. 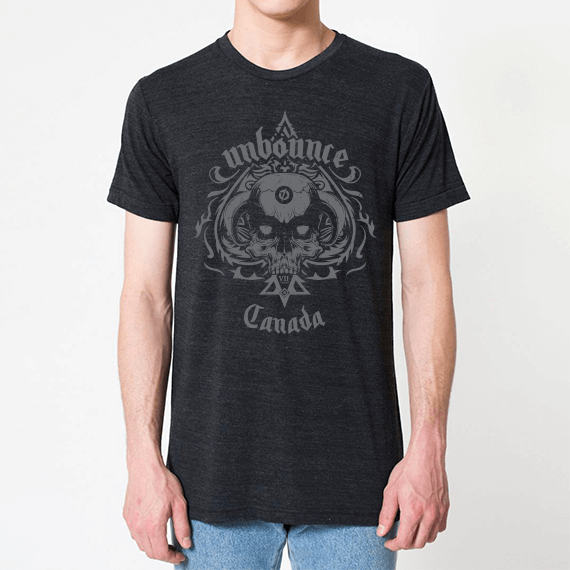 The spade backdrop, triangles and unbounce logo were fine tuned on my second pass. Type setting was done as the final framing for the composition. It is a tedious process but it is very much worth while. Recently, there have been some impressive strides forward in tools. You can turn sketches into digital posters in no time using Adobe Capture and Adobe Illustrator. 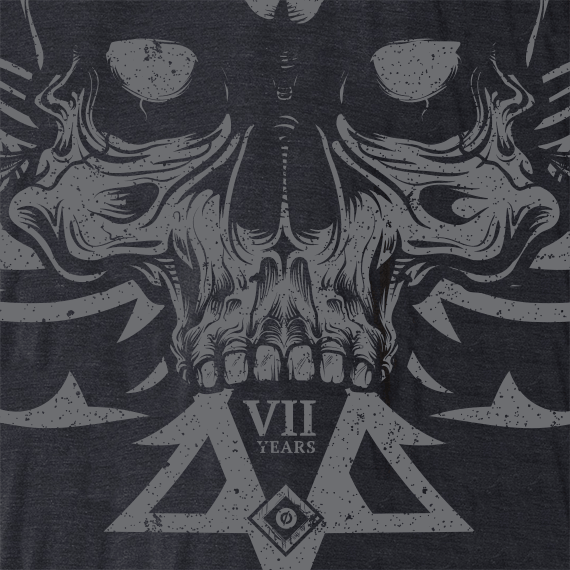 I used printful to do a initial run of about 50 shirts. They make it very easy and affordable to do smaller print runs. The shirts were printed on American Apparel 2001 Fine Jersey Short Sleeve Men T-Shirt. The original Instagram posting can be found here. The shirt was revisited about 6 months later. I felt that we could bump up the quality of the shirt. I gathered feedback after the initial print run looking for improvement opportunities. A second and final print run was done based on the feedback and design improvements below. The quality of American Apparel TR401 Unisex Tri-Blend Short Sleeve Track Shirt is much more comfortable and superior to the 2001 Fine Jersey Short Sleeve. 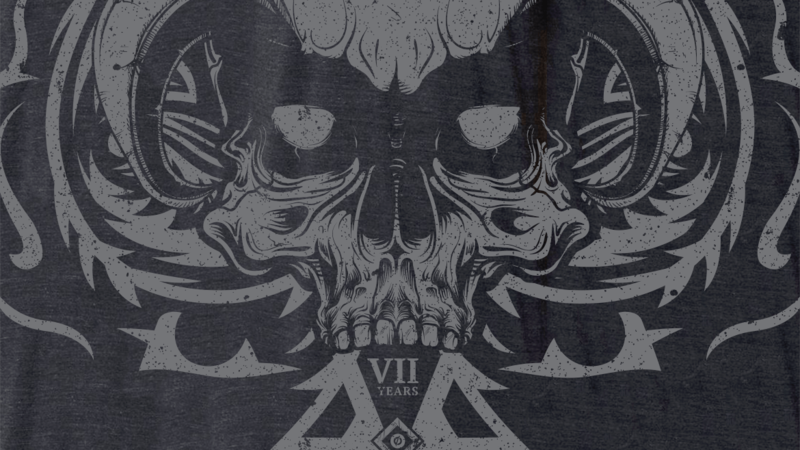 The second was a wish for a more monotone design, instead of the original two-tone. This would give a variety of options regarding execution. 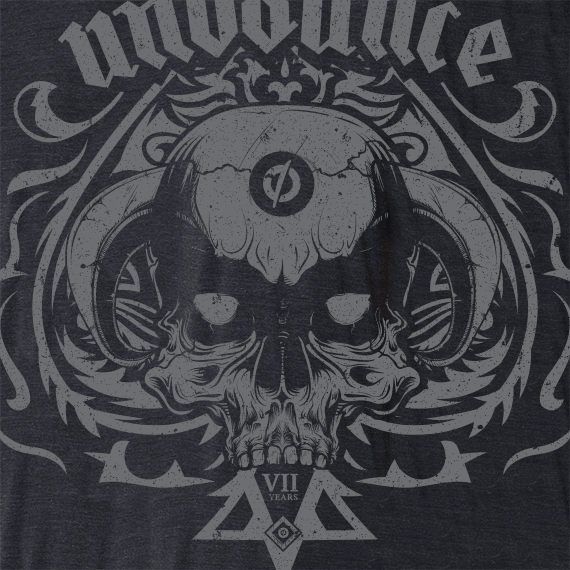 The design would benefit from a distressed treatment and would fit the Tri-Blend in a more cohesive way.